Sometimes known as Pecorino Pepato, this sheep’s milk cheese originates from the province of Ragusa on the Italian island of Sicily. 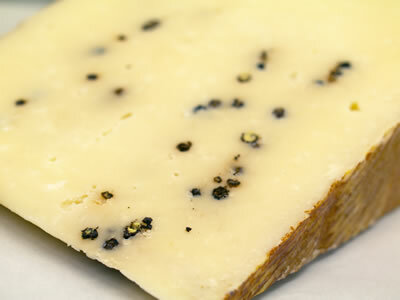 It’s similar to Romano cheese but is made distinct by the addition of whole black peppercorns which give its flavour an extra intensity. It is an oily cheese due to the high levels of butterfat in the sheep’s milk and can be used as an alternative to parmesan in Italian dishes.